Many dentists and physicians are trained to overlook the fact that attached to every tooth is a person. Yet the mouth has long been known to affect the rest of the body. According to traditional Chinese medicine, each tooth will relate to the health of a particular organ in the body. For instance, your pre-molars are linked with your stomach and pancreas, and your kidneys are linked with your lateral and central incisors. Some doctors have estimated that nearly 80% of all illnesses are related either partially or entirely to problems associated with the mouth. Studies are beginning to link mouth-related diseases with other problems of the body as well. In a new study published in the Journal of Clinical Periodontology, University of Birmingham researchers from the U.K. have found that chronic kidney disease patients with periodontitis have an increased risk of death than those with chronic kidney disease with healthy gums. Periodontitis is a serious type of gum infection, or periodontal disease, characterized by inflammation around the tooth. It is estimated that 47.2% of American adults have mild, moderate, or severe periodontitis, according to the Centers for Disease Control and Prevention (CDC). That number jumps to 70.1% in adults 65 and older. For the study, the researchers examined data from 13,734 Americans who participated in the Third National Health and Nutrition Examination Survey (NHANES III). From the survey, the research team found that 861 participants from the sample had chronic kidney disease, and they were followed of an average of just over 14 years. The researchers also examined the link between periodontitis and chronic kidney disease–related death and compared them with mortality risk and other factors associated with chronic kidney disease, such as smoking, stress, and diabetes. The researchers found that over a 10-year period, the rate of death was 41% among chronic kidney disease patients with periodontitis; those without periodontitis had a death rate of 32%. These results were compared to the rate of death among those with chronic kidney disease and diabetes, which was 43% in diabetics and 32% in non-diabetics. This is important because diabetes can lead to gum disease. A previous study from 2014 found that those with severe periodontal disease develop chronic kidney disease four times higher than people without severe periodontal disease. The Birmingham research team plans to further their investigation between kidney disease and periodontitis to identify whether the link is a coincidence or if gum disease is a cause of kidney disease. 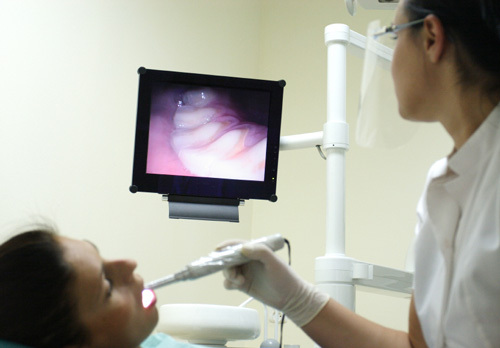 If there is a connection, then they would also like to identify whether gum disease treatment and maintaining oral health can help improve the health of kidney disease patients. What can be done about periodontitis? A study published in the ACS Journal of Agricultural and Food Chemistry in 2015 found that wild lowbush blueberry could help prevent dental plaque formation. Other natural remedies used to treat periodontal disease include coenzyme Q10, vitamin A, vitamin C, vitamin E, zinc, selenium, folic acid, gotu kola, and bloodroot. “What is periodontal disease?” Centers for Disease Control and Prevention web site, last updated March 10, 2015; http://www.cdc.gov/oralhealth/periodontal_disease/, last accessed February 18, 2016. “CDC: Half of American Adults Have Periodontal Disease,” American Academy of Periodontology web site; https://www.perio.org/consumer/cdc-study.htm, last accessed February 18, 2016. Murray, M., M.D., et al, The Encyclopedia of Natural Medicine (New York: Atria Paperback, 2012), 389-391, 883–889.